Not content with revolutionising the light bulb, Philips is now aiming to crack the lightstrip sector by adding one to its Hue smart lighting brand. Unveiled at IFA 2015, the Hue Lightstrip Plus can be shaped, bent, cut and extended by up to 10 metres and by offering almost every shade of light under the sun it can customise just about any setting. Philips has tagged the strip with the ability to let you 'paint with light' and its self adhesive back makes it incredibly simple to install. Before long you'll be enjoying the ability to add shades from beautiful white and cool blue white to warm yellow and atmospheric colour light to your surroundings. 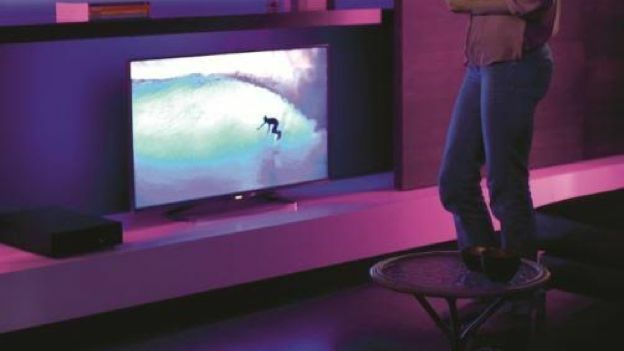 “Its extendable design along with its connectivity and high lumen output, means that it's even easier for people to use light to create the experience they want across their home,” explains Leonardo Avezzano, Product Marketing Director of Philips Hue. The best part about all of this is that it fits into the Philips Hue ecosystem thus benefiting from compatibility and interactivity with 300 third-party apps. Using it with your TV set is a particularly attractive proposition and it can dynamically change your viewing experience. The Philips Hue Lightstrip Plus kit costs £69.99 and comes with a two metre strip plus and power adapter. Light-hungry consumers can then buy one metre extensions for £19.99 up to a maximum of 10 metres. It comes out in Europe and North America in October 2015.